Setting up any small manufacturing unit would entail you following these basic steps. We shall restrict our discussion to cooking oil alone. 1. Background Research: A background research is very important. You should conduct a market as well as a public survey as to what kind of cooking oil sells best in the area. You should know the preferences of the people and plan accordingly. You will also need to conduct a search in the rules of the local government regarding environmental pollution, procurement of licenses, and management of waste and so on. 2. Business Plan: Once you have decided on your product for the small oil mill plant, say groundnut oil, you have to prepare a perfect business plan as to the amount of capital you would invest as well as the amount of finance you would require for the purchase of machinery, raw materials and so on. 3. 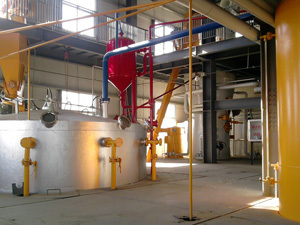 Small Unit Location: Your small cooking oil manufacturing unit should have a comfortable location. That place should not be too far away from the place where you would procure your raw materials. The target market should not be far away too as you might incur transportation costs. 4. Personnel: You require people to run your small cooking oil processing plant . You should have a pool of employees from whom you can make a correct choice. The nature of employees could range from the unskilled ones to the highly skilled and technically qualified people. 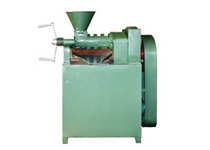 Machinery: In case, you wish to set up a groundnut oil manufacturing plant, you should have a clear idea about the machinery you would require. The machinery would include the sheller, conveyor belts, cleaning and sieving machines, cooker, oil expeller, and the filters. You may also require an oil-packaging unit for final packaging. 5. Start small and then expand: You should always start on a small scale. In our case, you can start with say production of 50 tons per day before expanding. Otherwise, you might take a longer time to break even. 6. Look out for government subsidies and grants: Certain manufacturing units are always on the priority lists of the Governments of the day. You should check out the Government official website for any subsidies or grants that could be on offer. You should take advantage of these factors. 7. Marketing: This is the most important aspect of any business. You should have a clear-cut marketing policy on putting up a small cooking oil manufacturing unit. Your survey could come handy while you formulate a marketing plan. We are dedicated to provide high quality cooking oil making machine as well as good sales services to any or all our esteemed clientele, you also offer the most competitive prices in the field of cooking oil processing. Contact us today to start your own small cooking oil manufacturing production line!